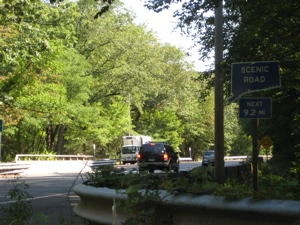 Continuing along the Mattabesett, still in Durham, but later crossing into Haddam, the woods are mostly populated by mountain laurel, maples, and beeches. Lots and lots of laurel abounds. I’m sure the trail maintainers are quite happy laurel is pretty slow-growing, because it would be difficult otherwise. 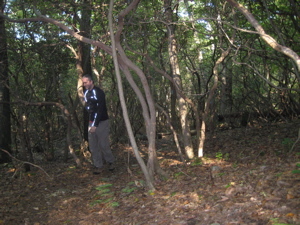 The trail immediately plunges into some fairly thick mountain laurel (CT’s state flower) but remains easy, level hiking. 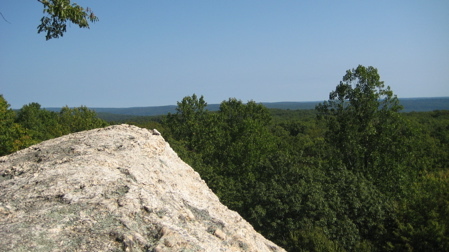 The first notable spot of the day would be Bear Rock, whose highest point hits a lofty 660 feet! Actually, as exciting as that is, the scramble up to the lookout is pretty pulse-pounding. For about 6 seconds. The Giant Bear Head above me! Hoang (my wife) claims it looks more like a snapping turtle head and she may have a point. 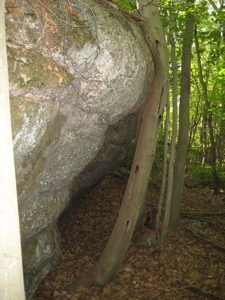 And really, since we already have Bear Mountain in the Northwest hills, and Bear Hill on the next section up the Mattabesett… Why not rename this Snapping Turtle Rock? Regardless, the views from the top are nice and for those hikers who are incapable of scrambling up 10 feet of steep rock, there is a handy little opt-out trail that simply allows one to walk to the top from the back. 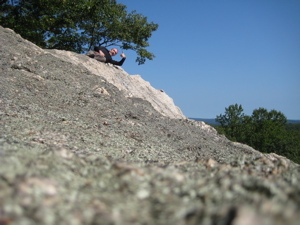 The Walk Book tells me the view takes in all the previous hills I’ve done on the Mattabesett – Bluff Head, Totoket, Pistapaug, Fowler, Reed, Beseck, Higby, and Lamentation. I’d love to believe that, but I just didn’t see it. From Bear Rock, the trail circles around the hill a bit and takes in another decent view, this time to the north. After that, the next 10 minutes or so of hiking is flat and easy, but I couldn’t help noticing how the geology was becoming rockier all the time. 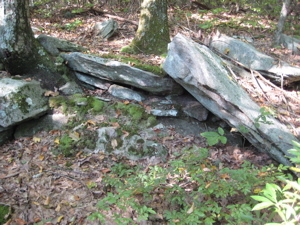 Not so much the trail itself, but in the woods all around me I saw many more gray sharp-edged mini tables of rock. I have definitely left the basalt traprock of the Metacomet Range and was completely immersed in a schist/garnet/quartz/mica geologic area. 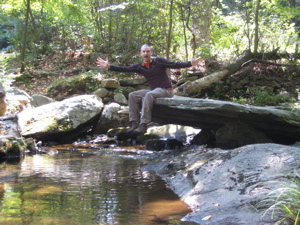 As the rocks became more abundant, I descended down to a pond – Millers Pond to be exact – and I’d entered Millers Pond State Park. Everyone loves a calm little pond ringed with trees beginning their autumnal change (pictures at top and bottom). 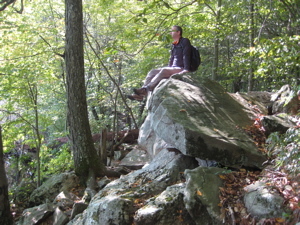 I even took a seat on one of the chair-like rock outcroppings and was immediately joined by a couple of chipmunks. I was thinking of launching into another geology lesson, but I’ll leave that up to the experts. Gneiss and feldspars and pegmatites, oh my. 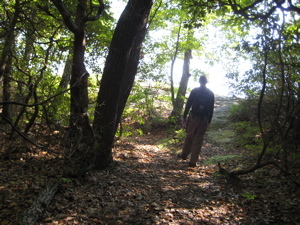 The trail ambles over some rocky terrain along the southern tip of Millers Pond. 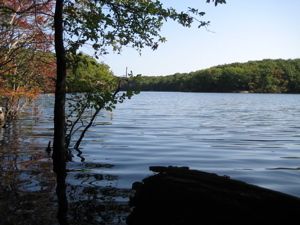 Millers Pond is unique in that its principal source of water comes from large springs which create a body of unpolluted water excellent for small mouth bass or trout. The original dam at the pond was erected some time before 1704. Thomas Miller built the upper dam to provide a reservoir to serve his gristmill further downstream. 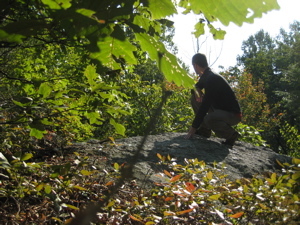 There are several other trails within the park, one of which shares the Mattabesett for a while. I could not believe how massive and sloppy the white blazes here were. Just ridiculous… For some reason, it took away a bit of the experience for me; in fact I didn’t even notice when I crossed from Durham to Haddam! Trailblazers: Chill out with your overly laden and too-wide paint brushes. Sheesh. 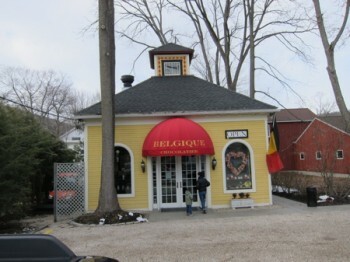 And ironically, within a 20-foot radius, I picked up about 4 bottles and cans (20 cents!) 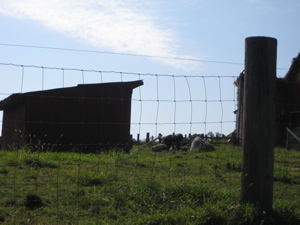 along the road. Thus began my first road walk of the day, a highly uneventful 3/4 mile slog up Foot Hills Road before turning left (north) back into the woods. These woods are once again part of the Cockaponset State Forest, a completely patchwork hodgepodge of state land. 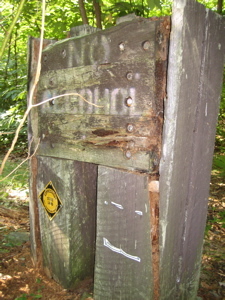 Lots of the Mattabesett’s miles are within the state forest. 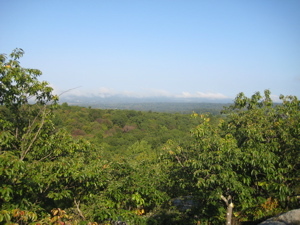 Named after a Native American chief buried in Haddam, Cockaponset State Forest is the second largest forest in the Connecticut state forest system, encompassing over 16,000 acres (65 km²) of land. Most of the land is in Middlesex County though some parcels lie in New Haven County. 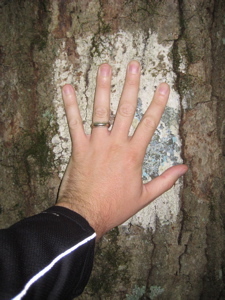 The forest is disjointed, and is comprised of land in the towns of Haddam, Chester, Deep River, Killingworth, Durham, Guilford, Madison, Clinton, Westbrook, Middletown and Middlefield. The next mile travels through some more thick laurel groves over flat land. Not quite like the Rhododendron tunnels I’ve experienced along the Appalachian Trail down in North Carolina, but a fair Yankee version of that. After a short uphill stretch, I saw a break in the laurel and clear sky ahead. I like that picture because it looks like I’m headed towards oblivion. As it turns out, I was merely headed for Eagles Beak Point. I hate how the name is not a possessive, but I got over that quickly while exploring the massive exposed white rock face. There are some nice southerly views up here as well. Severe injury is an option here too, which makes it more interesting to me. Leaving that fun and heading back up north, the trail only got better. 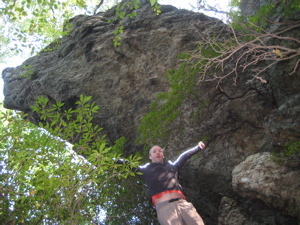 For some geologic reason, there are some huge (by CT standards) long rock formations. 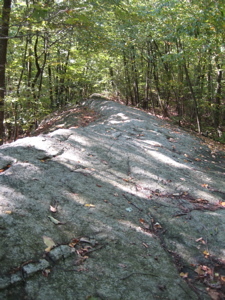 The trail conveniently uses these long, straight, smooth rocks which offers a very unique experience – especially after the last 45 miles of the Mattabesett which has nothing like this. One particular stretch is called “The Pavement” and seems to go for several hundred yards. I didn’t bring my trail description with me, and had remembered it as “The Platform” so I spent 5 minutes setting up the following picture of me giving my “platform speech,” thinking I was being clever all the while. A left hand turn onto Nedobity Road and while it evokes a little bit more of a woodsy feeling, you’re still walking along a road. Down, down, down a big hill, passing something called the Nedobity Preserve – at this point, the Mattabesett should take a random turn off the road and into the Preserve, just to break up the road walk. I surely didn’t notice him when I snapped the shot. 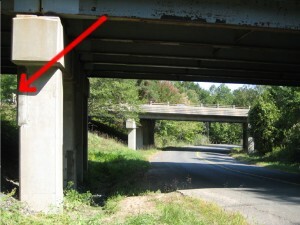 I took it, and kept walking under the overpass. 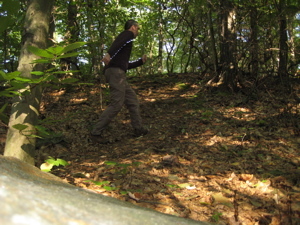 As I drew parallel to him, he was slowly bumbling down the steep hill towards me (but still 20 yards away.) 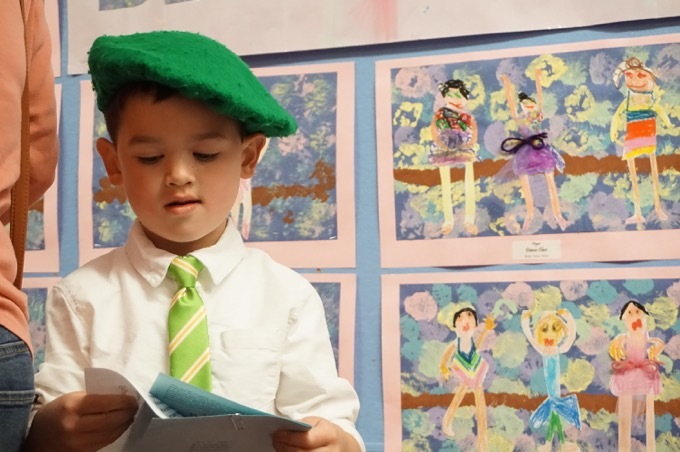 He shouted at me – “Hey! Hey!” and I was a bit surprised to say the least. A CTMQ fan? I didn’t have a pen for an autograph, darn it. “Did you take a picture of me?” I said no, I didn’t, because I really didn’t think I had. I wanted to ask, “Why would you care anyway?” Was he an inmate or a surveyor? I don’t really know, and I appreciate him thinking it weird that I took a picture of what essentially was nothing… but he was overly angry for some reason. And I was beginning to tire of walking along the road. I finally reached Thayer Road, took another left, crossed Route 154 and reached my destination – Seven Falls rest area. Seven Falls is a really pretty spot – it was Connecticut’s first rest stop in the state – so I didn’t think too much about having my friend wait for me there. As it turned out, he brought his kid to frolic among the rocks and falls and stuff while waiting for me. I had estimated my arrival nearly to the minute, of course, so we all hopped in the car and drove back to Harvey Road. I just took a hike to Bear Rock with my two kids. 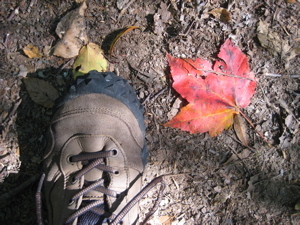 We came from Miller’s Pond State Park, hiking the opposite direction that you did. 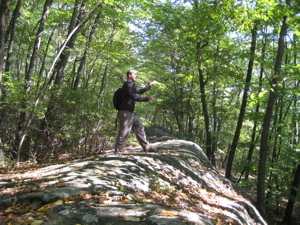 Once on Bear Rock, we followed the rock ridge a bit to the right. We noticed a small path that went “down a level.” Once we went down, we had a great view of all the hills that the Walk Book described. It did take a little exploring to find the views! I did the section from Seven Falls south(ish) to Millers Pond on Sunday with a friend. Thanks for the picture of “The Pavement”. I thought we missed it under the snow but I guess not. Strange name for that rock formation…I was expecting something different. We just can’t get away from them, could we? There’s no expectation of privacy where you snapped the picture, so Mr. Paranoia didn’t have a leg to stand on (which just might explain his bumbling down the hill).